DigitalOcean, Inc. is a New York City-headquartered, low-cost cloud infrastructure as a service provider. 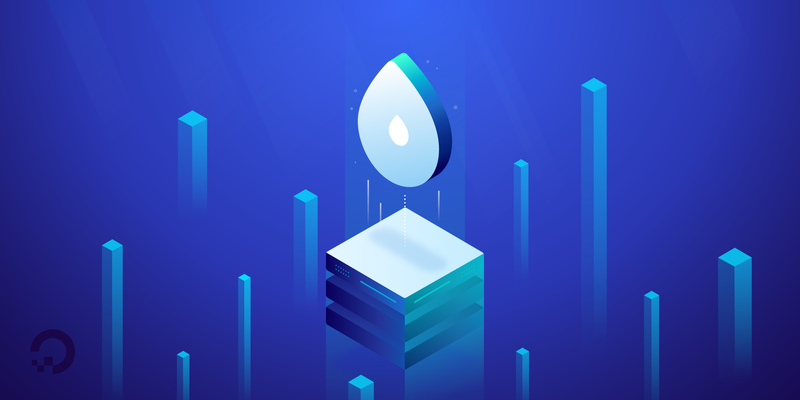 According to DigitalOcean, its products are designed for developers to deploy and scale infrastructure resources seamlessly. The company calls its compute services (virtual servers) as Droplets. DigitalOcean was founded in June, 2011 by Moisey Uretsky, Ben Uretsky and Mitch Wainer. Ben and Moisey Uretsky, brought Mitch Wainer to the team and started working on their Minimum Viable Product, which led to the launch of the company’s beta program in January 2012. By March 2012, DigitalOcean had 50 to 60 clients. Their first application to join Techstars NYC, a startup accelerator program was rejected, but the team managed to get into the Techstars Boulder program. All three of them then moved to Boulder, Colorado, where they continued their work for the next three months, but failed to attract investors after their demo. In January 2013, DigitalOcean doubled the memory capacity, but kept the charges at the same level, $5 per month. By then the company had already grown to 2000 clients. According to Co-founder Mitch Wainer, a Techcrunch article about the company helped catapult their signup rate. DigitalOcean raised a $3.2 million in seed funding in August 2013, led by IA Ventures, with participation from CrunchFund and TechStars. The company told BI that it was on track to generate $175 million in revenue in 2017, up from $118 million it generated in 2016. In June 2018, DigitalOcean appointed Mark Templeton, former CEO of Citrix, as its CEO, replacing Ben Uretsky. Frost & Sullivan recognized DigitalOcean with the 2018 North American Infrastructure as a Service Competitive Strategy Innovation and Leadership Award. DigitalOcean serves its customers through 12 data centers spread across the world. Data centers are located in Amsterdam, Netherlands (2), Bangalore, India (1), Franfkfurt, Germany (1), London, UK (1), New York, USA (3), San Francisco, USA (2), Singapore(1), and Toronto, Canada (1). Unlike large scale cloud service providers, who often have hundreds of cloud services, DigitalOcean concentrates on selling infrastructure services. This allows for a lean product lineup where several services are built-in, which in turn makes their pricing simple and a bit easier to understand. A virtual server with 4GB memory, 2vCPUs, 80GB SSD Disk with 4TB transfer will cost you $20. 250 GB of storage can be bought for a price of $5 per month and you can attach additional SSD-based block storage volumes to meet your requirements. Load Balancer will cost $10 per month per load balancer. DigitalOcean says that it’s customers will know how much they pay every month due to monthly caps and flat pricing across all global data centers. Monitoring & Alerts: Tools to monitor the health of your infrastructure. A control panel to view graphs, track performance, and set up alerts from a control panel. SLA: DigitalOcean promises 99.99% uptime. The company says if it fails to deliver, it will credit the customer for the amount of time that service was unavailable. Firewalls: Free Cloud firewalls to secure the infrastructure. CLI & API: Infrastructure can be managed from the command line using CLI tool or through API calls. HTTPS: Data transfer is automatically secured with SSL (HTTPS). DigitalOcean competes with several large infrastructure-as-a-service providers such as Amazon Web Services, Microsoft, Google Cloud Platform, IBM and Oracle. “We’re a small size of the cloud computing infrastructure pie — and our opportunity is actually to be one of the core growers of the pie, which is about primary demand,” Mark Templeton, CEO of DigitalOcean said in an interview with CNBC in June 2018. “They don’t have to lose for us to win, especially in a market where the pie is growing so fast overall,” Templeton said. Though hyper-scale cloud providers are growing fast, often at the expense of smaller players, the cloud computing industry has plenty of room to grow.